The projection of historical continuity through the designation ‘heritage’ always betrays, in one way or another, its very opposite: historical disjunctures and interference in local affairs. Join SOAS Centenary Fellow, Professor Rasmi Shoocongdej, along with five respondents, to examine this paradox at the heart of the notion of ‘heritage’ and its ‘management’ today. Professor Shoocongdej, an archaeologist specializing in mainland Southeast Asian prehistory, will address the pressures of research harnessed to the promotion of ‘Thai Cultural Heritage’ in sites characterized today by multiple cultures and ethnic minority groups. Professor Shoocongdej’s fieldwork focuses on borderlands between Thailand and Myanmar. Her research on prehistory is complemented by incisive contributions to important debates at the nexus of archaeology and the public sphere. Her pedagogical career, based at Thailand’s premier arts university, Silpakorn, has been devoted to training Thai and other Southeast Asian archaeologists through interregional programmes to assume positions of intellectual and ethical responsibility vis-à-vis their regions and their international partners. She is a crucial role model for Southeast Asian archaeologists and, more broadly, for Southeast Asian women considering pursuing academic careers. Professor Shoocongdej will address her twofold experience as a ‘Thai female archaeologist.’ On the one hand she represents the ‘elite centre’ – Bangkok’s Silpakorn – in researching prehistoric cultures of Thailand’s peripheral ‘highlands’, negotiating at once relations – or non-relations – between local communities and their prehistoric site surroundings, and the attendant expectations of nationalist historiography emanating from the entangled academic and political realms. On the other hand, she represents ‘indigenous perspectives’ to the international archaeological community intent on reconstructing Southeast Asia’s past, and dominated still by Euro-American actors and modes of inquiry. 22 April 2007 (New Straits Times) – Today’s NST features a special spotlight on the stone age culture – past and ethnographic present. 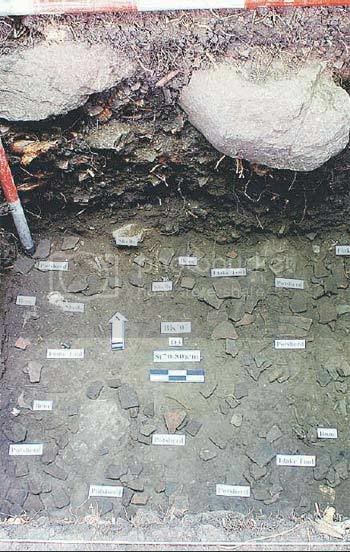 The first story is about the prehistory ceramics industrial site at Bukit Tengkorak (Tengkorak Hill). Tampi villagers today donâ€™t think twice about using clay from the foot of Bukit Tengkorak and nearby areas in southeastern Sabah for their pottery, digging wells for fresh water, burning wood for fuel and eating a wide range of fish, shellfish and molluscs. But most of them are unaware that from about 3,000 until 2,000 years ago, people at the summit of the 600-foot hill did the same–when the Semporna peninsula was a late Stone Age population hub and craft centre. Experts from Universiti Sains Malaysia (USM), the Sabah Museum Department and the Department of Natural Heritage have found millions of sherds which show that the site about five kilometres from Semporna town was one of the largest, if not the largest, pottery making sites in Island Southeast Asia (SEA) and the Pacific during the Neolithic era (the last part of the Stone Age, beginning 8,000 BC). Their findings have overturned some theories about how prehistoric people lived and traded in the region. Until the excavations here, archaeologists believed that long-distance sea trade and migration of people in insular SEA and the Pacific moved east from Melanesia (near Papua New Guinea) to Polynesia, leaving behind what is known as the “Lapita culture” of pottery, stone tools and ornaments. “Our research at Bukit Tengkorak shows that 3,000 years ago, people were not only moving east towards New Britain in Melanesia but also westwards towards Sabah,” explains Dr Stephen Chia of USMâ€™s Centre for Archaeological Research Malaysia, who based his PhD thesis on the site. “This is one of the longest trading routes in the world during the Neolithic period,” says the archeochemist who found obsidian (a volcanic glass used to make tools) at the site and traced it chemically to Talasea in New Britain, 3500 kilometres away. His fieldwork in Southeast Asia also found stone tools and pottery similar to Bukit Tengkorak in the Zamboanga Peninsula, the Sulu Archipelago and Sulawesi. The second story covers the Bajau people who live in the vicinity of Bukit Tengkorak on the Semporna peninsula of Sabah – the clay stoves produced by the Bajau are remarkably similar to the 3,000-year-old stoves unearthed nearby, implying an unbroken ceramics manufacturing tradition. The finished handiwork of this Bajau woman in Sabahâ€™s southeastern Semporna peninsula looks exactly like the 3,000-year-old stove unearthed at nearby Bukit Tengkorak. “The way of life of the Bajaus today and the food they eat are similar to what we found on site,” says Dr Stephen Chia of Universiti Sains Malaysiaâ€™s Centre for Archaeological Research Malaysia. 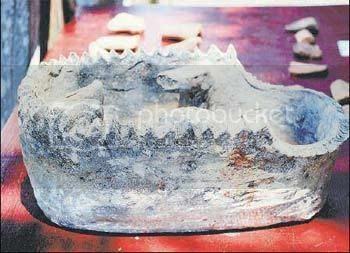 1 June 2006 (Citylife Chiang Mai) – A feature on community-involvement archaeology project in northwest Thailand. The Highland Archaeology Project in Pangmapha (HAPP) is a microcosm of the new directions of contemporary Thai archaeology. One important detail is that the project is run by a woman, Rasmi Shocoongdej, currently Assistant Professor at Silpakorn University. The main results so far are the recording of nearly 100 sites from the Stone Age and Metal Age scattered across the district, as well as the excavation of two major rockshelter sites with evidence of over 20,000 years of habitation and several human burials. The aim of the HAPP camp was to cultivate in the children, and hopefully their families, a sense of the value of the remains of the past and the importance of preserving them. By giving them a narrative of their unique local past – a past that they encounter the evidence of everyday – rather than a homogenising national past, they can feel a more positive sense of belonging and connection to [t]heir heritage.